At Brandsport.com, we offer a variety of parts and accessories for a range of vehicles. From these parts and accessories, we buy only from the best and most trusted brands. One of these brands is K&N, whose air intake and filter systems have always exceeded the industry standard, providing you with only the highest quality products. K&N�s Street Metal Series High-Flow Air Intake Systems are designed with racing in mind, delivering more horsepower and torque to your Harley Davidson motorcycle. Made from the highest quality materials, the sturdy aluminum backing plate mounts directly to the throttle body via an aluminum integrated, internal-run breather system. The custom designed covers give the air intake system an upgraded, high quality look that will catch glances as your cruising down the highway. 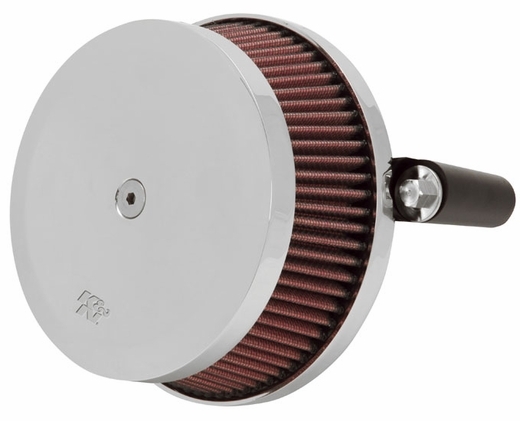 The intake system also includes a K&N High-Flow Air Filter to increase air intake and filtration, providing your engine with a performance and power that lasts. The high-flow air filter is washable, reusable, pre-oiled and ready for installation, making it the last air filter you�ll ever need. A durable mounting gasket is also included in the kit and will help absorb vibration, resulting in a smoother, quieter ride. 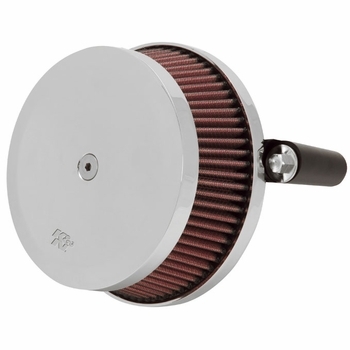 Replace your standard air cleaner with a high-flow air intake system from K&N today, and you will notice an increase in power and performance from your motorcycle.